Like many of you, there are tried and true brands that are my go-to. Because of the quality of the product, the uniqueness of design, and simply the feeling I get when associating with the product or its designer. One of my all time favorites is Tanya Whelan of Grand Revival Designs! Her vintage meets modern style simply speak to me, and kind of make my heart sing. If you aren’t familiar with her designs or her fabric I encourage you to check them out! She hosts a wonderful blog: Tanya Whelan’s Grand Revival Designs and has published many books. 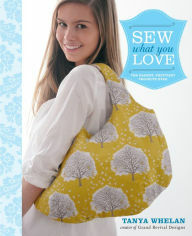 One of my favorites is Sew what you Love. This book can be purchase at Barnesandnoble.com as well as Amazon.com. I’ve included the links below in case, you are interested. 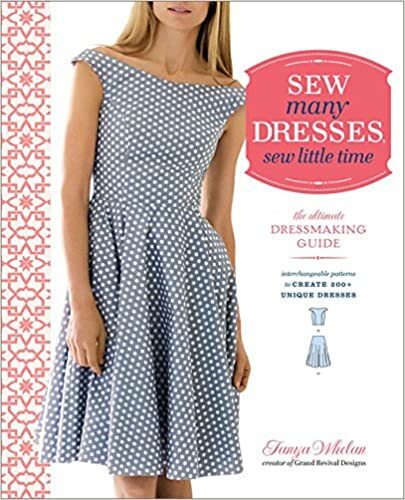 My next guilty pleasure will be purchasing her book Sew Many Dresses, Sew Little Time, also available at Amazon.com, just click the image below, to check it out! I am determined, to figure out what all those wonderful sewing feet are for my sewing machines. Up until now I have been intimidated by them. This season’s goal is to experiment with them, and I hope to use some of Tanya’s gorgeous fabrics to do just that. I’d love to see what you are creating, and to know who some of your favorite designer’s and tried and true brands are.